Therapeutic inhibition of Janus kinase 1/2 (JAK1/2) may benefit patients with type 2 diabetes and CKD, but the function of JAK/signal transduction and activation of transcription (STAT) signaling in homeostasis is unclear. In this issue, Alghamdi et al. present evidence from in vitro and in vivo studies showing that depletion of JAK2 in podocytes disrupts autophagy completion within these cells through downregulation of the transcription factor TFEB. The long-term implications of podocyte autophagy disruption resulting from therapeutic inhibition of JAK/STAT signaling should be evaluated. See Alghamdi et al. pages 2641–2653. The hormone peptide ELABELA (ELA) is highly expressed in the mouse kidney and may regulate fluid homeostasis, yet the role of ELA in kidney injury has not been determined. Here, Chen et al. 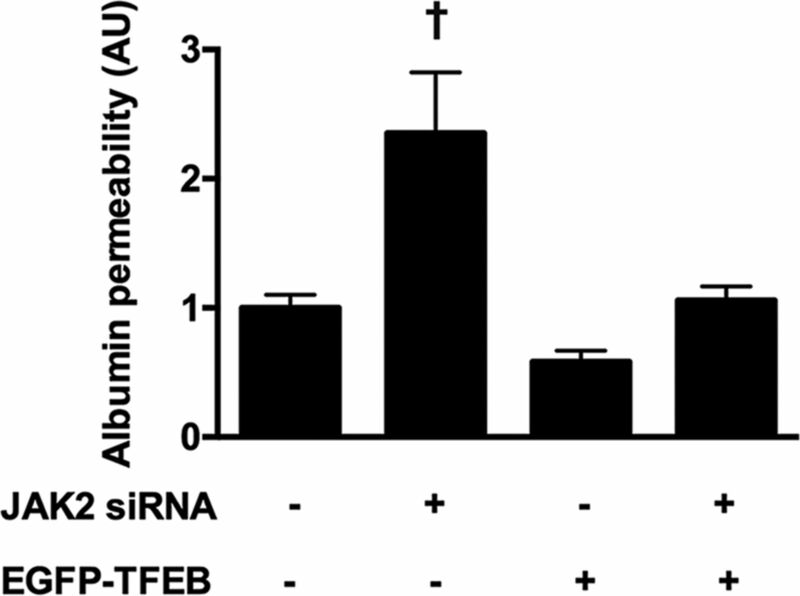 report that, in cultured renal tubular cells, treatment with the mature ELA32 peptide or the smaller, furin-cleaved fragment (ELA11) inhibits the fibrosis, inflammation, apoptosis, and DNA damage response induced by hypoxia-reperfusion or adriamycin. In mice with renal ischemia-reperfusion injury, treatment with ELA32 or ELA11 induces similar renoprotective effects and attenuates the loss of renal function. The therapeutic relevance of these peptides in AKI warrants further investigation. See Chen et al. pages 2694–2707. Autologous regulatory T cell (Treg)-based therapies protect against ischemia-reperfusion-induced AKI in mice but have clinical limitations, thus mechanisms to expand endogenous Tregs are needed. Stremska et al. 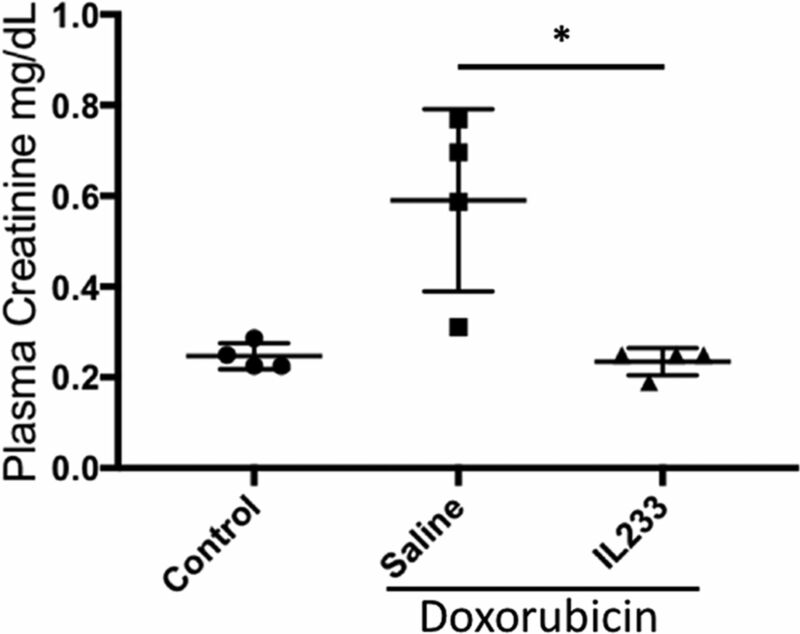 found that coinjection of IL-2 and IL-33 in mice promotes Treg expansion and protects against renal ischemia-reperfusion-induced injury. Moreover, a novel fusion cytokine, IL233, prevents and therapeutically protects against renal injury more efficiently than the cytokine mixture or either cytokine alone. Additional preclinical studies are needed to assess the safety of therapeutic treatment with IL233 in AKI. See Stremska et al. pages 2681–2693. Avacopan, a small-molecule antagonist of the C5a receptor (C5aR), prevents GN in a murine model of ANCA-associated vasculitis. Jayne et al. 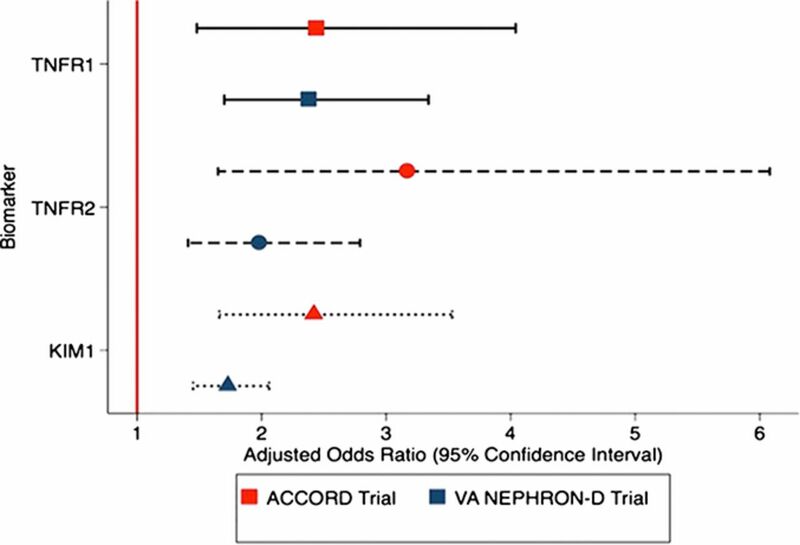 conducted a randomized, placebo-controlled trial of avacopan in 67 adults with active vasculitis. Patients received daily placebo plus prednisone, avacopan plus reduced-dose prednisone, or avacopan alone concurrently with cyclophosphamide or rituximab. 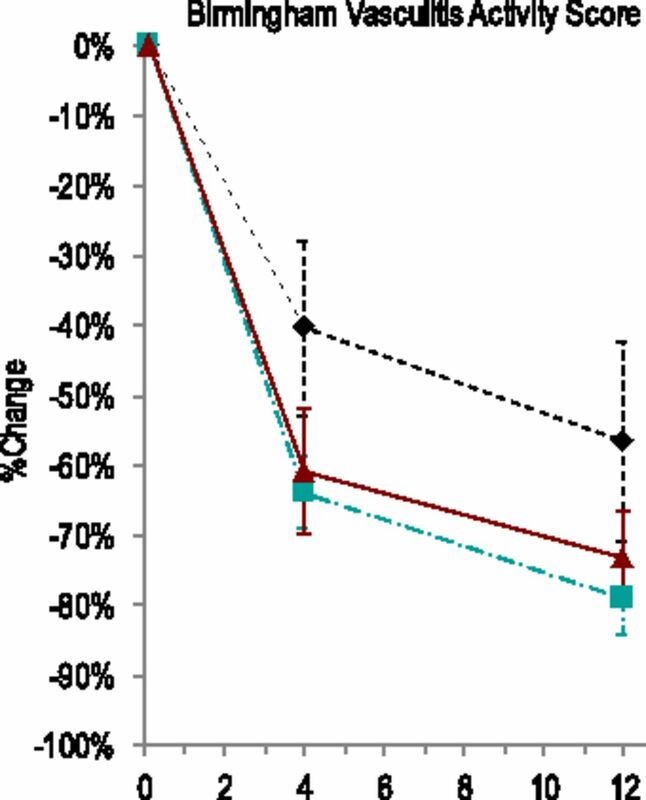 Both avacopan groups met noninferiority criteria with regard to treatment response at week 12. The incidence of adverse events was similar across groups, but avacopan groups had fewer adverse effects associated with glucocorticoid use. Thus, inhibition of C5aR may provide patients with vasculitis an alternative to high-dose glucocorticoids. See Jayne et al. pages 2756–2767. Do the benefits of mesenchymal stem cell (MSC) therapy observed in experimental atherosclerotic renovascular disease (RVD) translate to the clinic? In this issue, Saad et al. report on their phase 1/2A dose-escalation study of the safety and efficacy of autologous adipose-derived MSCs in 28 patients with atherosclerotic RVD. 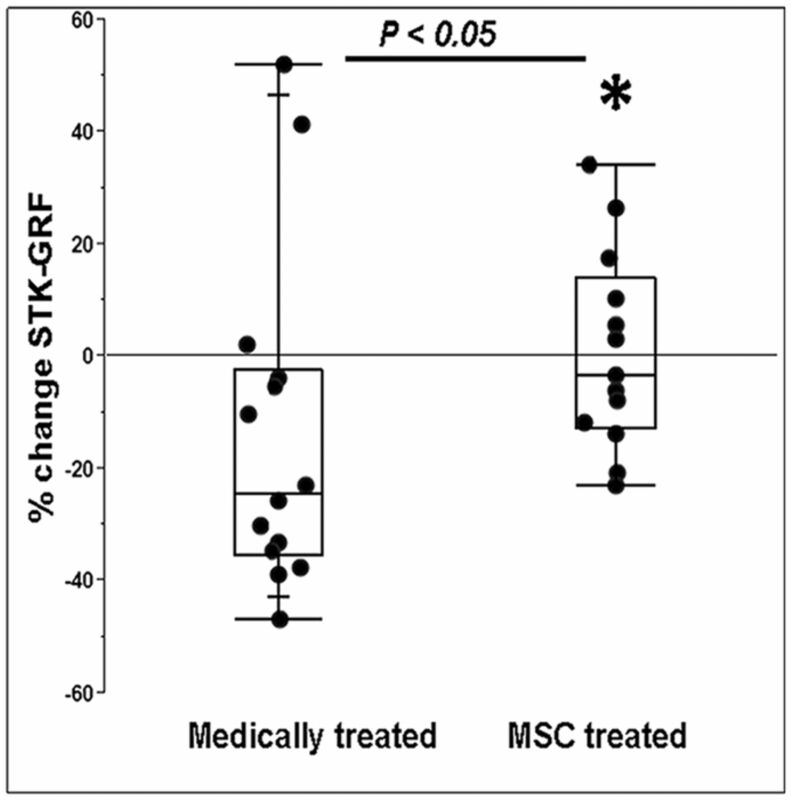 Compared with standardized therapy alone, the addition of one intra-arterial infusion of MSCs associated with increased cortical perfusion and renal blood flow, reduced renal hypoxia, and stabilization of GFR after 3 months. MSC infusion was safe and well tolerated. Larger trials in diverse cohorts should be undertaken to confirm these results. See Saad et al. pages 2777–2785. Plasma biomarkers that predict renal function decline in diabetic kidney disease (DKD) remain unidentified. Coca et al. measured plasma biomarkers in stored samples from patients with early and advanced DKD from two completed clinical trials. Their analyses revealed that baseline levels of TNF receptor-1, TNF receptor-2, and kidney injury molecule-1 each independently and robustly associated with eGFR decline in a graded manner. Including these biomarkers in clinical models significantly improves the discrimination for predicting progression of GFR decline. Such a panel may inform clinical decision making for individuals and facilitate clinical trials through enhanced patient selection. See Coca et al. pages 2786–2793.